Caring Animal Of The Year – Irma. 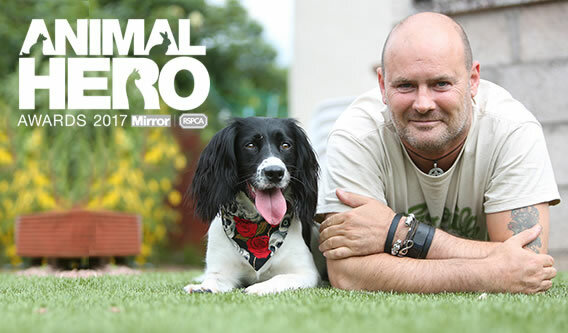 A springer spaniel who is helping army veteran Paul Wilkie with his post traumatic stress disorder. Wilkie, from Guildtown, Perth, is on the road to recovery thanks to Irma, the first service dog trained in Scotland by military charity Bravehound.